Communications Coordination responsible for Website Management and Search Engine Optimization for CAL Business Solutions, Inc. providing sales, installation, training and support for Microsoft Dynamics GP and Acumatica accounting software. Running an Old GP Version? In the past several weeks we have posted blog articles highlighting a Microsoft Dynamics GP 2016 Feature of the Day. Here is a quick list of the 26 features so you can easily find the ones that matter most to you. A quick list of the Microsoft Dynamics GP 2015 top 32 features blog posts, so you can easily find the ones that matter most to you. 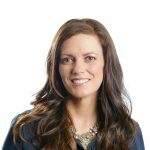 Thousands of Microsoft Dynamics GP Partners, users and employees converged in Atlanta, GA for the annual Microsoft Dynamics GP Convergence Trade Show. There were hundreds of sessions to appeal to all in attendance. Nearly 200 people gathered in Bristol, CT on May 15thfor CAL Connect2014, New England’s largest Microsoft Dynamics GP event. Highlights included an excellent keynote address, many Dynamics GP sessions, an ISV expo and peer to peer networking for Dynamics GP users. This was one of our largest events ever and got rave reviews. We look forward to seeing you at our next CAL Connect event at the same location – May 19, 2016. The CAL Business Solutions team hosted 6 clients at Convergence 2014 in Atlanta, Georgia. This year there were 12,200 in attendance. Keynotes were presented by Kirill Tatarinov as well as Adrianna Huffington (The Huffington Post) and Biz Stone (co-founder of Twitter). More than 11,000 Microsoft Dynamics GP Partners, users and employees converged at New Orleans, LA for the 17th annual Microsoft Dynamics GP Convergence Trade Show. There were over 350 different sessions to appeal to all in attendance. 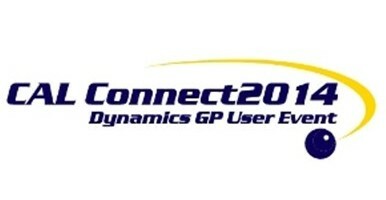 Nearly 200 people gathered in Cromwell, CT on May 8thfor CAL Connect2012, New England’s largest Microsoft Dynamics GP event. Highlights included an enthusiastic motivational speaker, 17 Dynamics GP sessions, an ISV expo and peer to peer networking for Dynamics GP users. This was our largest event ever and got rave reviews. We look forward to seeing you at CAL Connect2014. Microsoft Dynamics GP Partners, users and employees converged at Houston, TX for the 16th annual Microsoft Dynamics GP Convergence Trade Show. There were over 350 different sessions to appeal to all in attendance. Over 9300 Microsoft Dynamics GP Partners, users and employees converged at Atlanta, GA for the 15th annual Microsoft Dynamics GP Convergence Trade Show. Representing over 20 industries and 30 countries. Over 8500 Microsoft Dynamics GP Partners, users and employees converged at Atlanta, GA for the 14th annual Dynamics GP Convergence 2010 Trade Show. More than 100 clients, ISV partners and Microsoft colleagues joined the CAL team for a full day of Microsoft Dynamics GP educational sessions and networking held at the Waterbury, CT Marriott in October 2009. CAL hosts its annual Connecticut Convergence where the CAL team welcomed clients and Microsoft colleagues at a day of educational sessions and fun in Rocky Hill in September 2008. CAL hosts its annual Connecticut Convergence where the CAL team welcomed clients and Microsoft colleagues at a day of educational sessions and fun at the CAL office in August, 2007 as we celebrated 25 years in business. CAL hosts Customer Appreciation Day where clients and colleagues mingled with the CAL team at a Hawaiian luau themed event at the CAL office in August 2006. Highlights from our annual Customer Appreciation Event in Harwinton, Connecticut in August 2005.